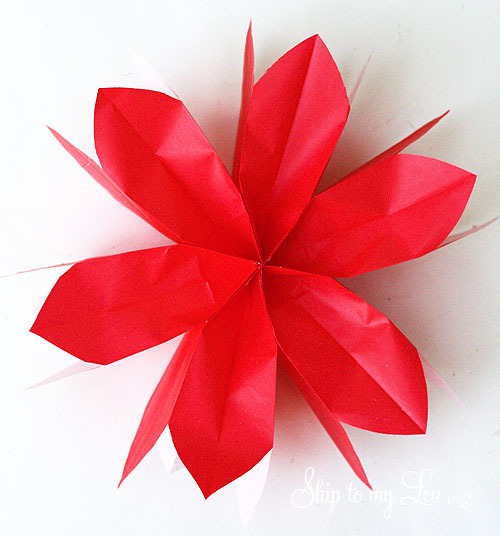 Home » Make » Paper Crafts » Lunch bag flowers perfect 4th of July Party Decorations! 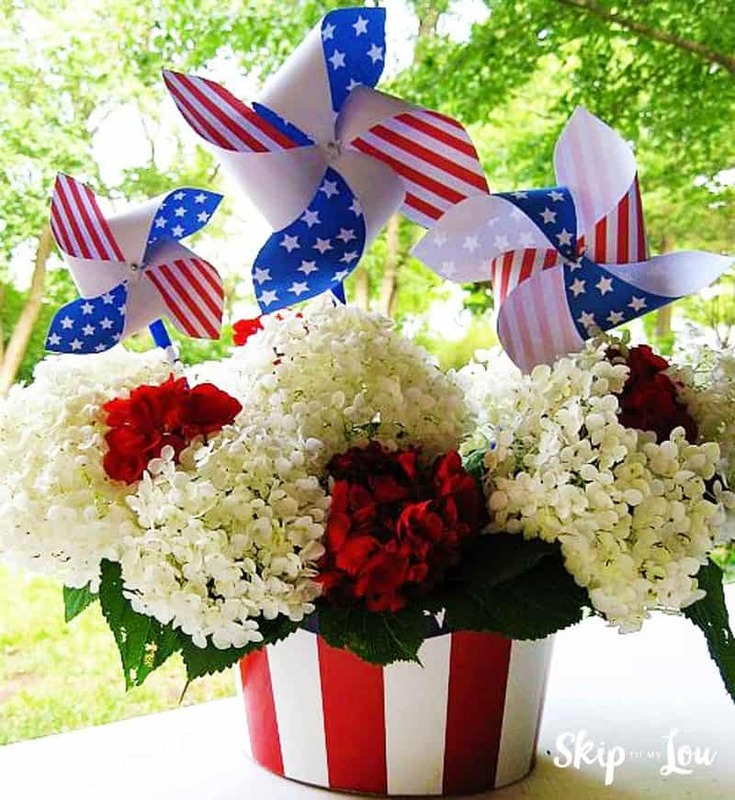 Lunch bag flowers perfect 4th of July Party Decorations! 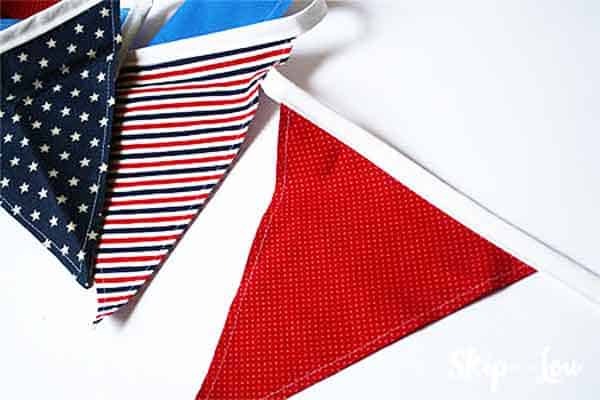 I’m making easy 4th of July decorations. Lunch bag flowers or in this case lunch bag stars are my go-to simple and inexpensive party decoration! 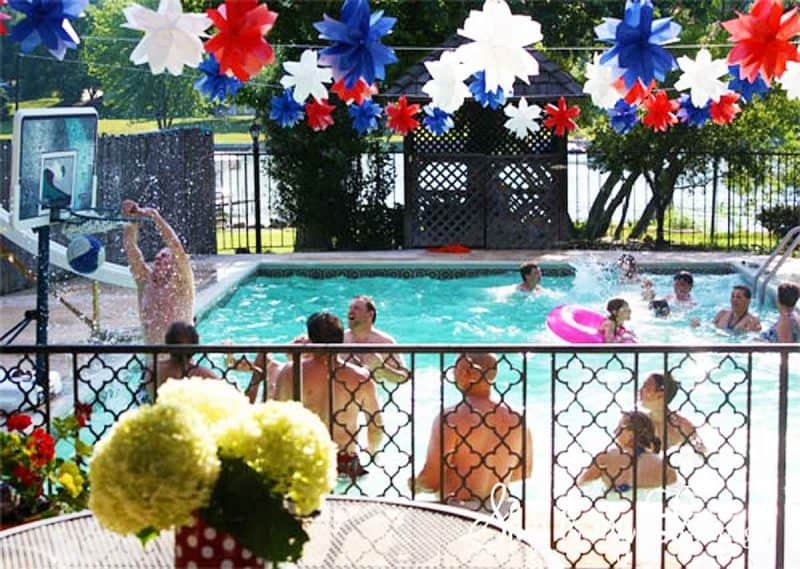 They are perfect Fourth of July decorations or make them out of white lunch bags for beautiful bridal shower decorations. 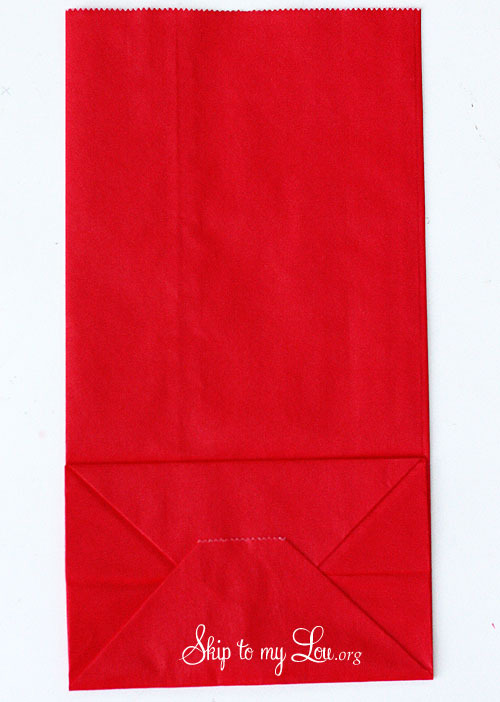 Give the white lunch sack flowers a few cuts along the edge and they make wonderful lunch bag snowflakes. I am a huge fan of party decorations! Especially hanging decorations. For each lunch bag flower, you need six lunch bags. 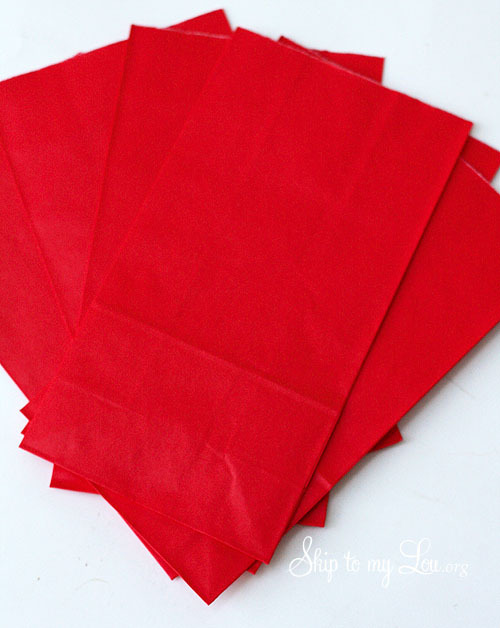 Just the regular paper lunch sacks. Any color or size lunch sacks work. Mini bags make cute flowers too! 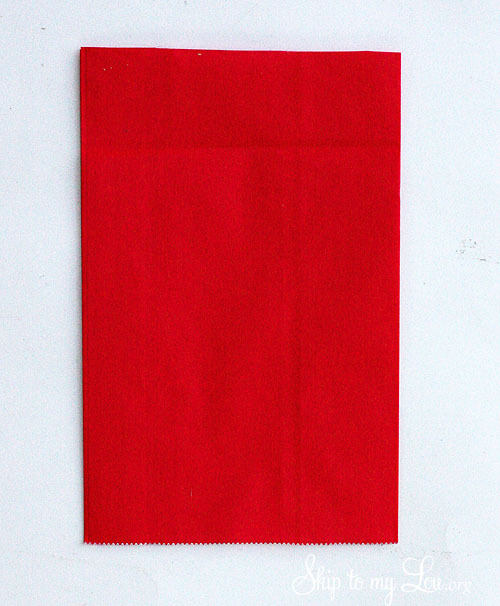 I have also used the bulk packs of inexpensive white lunch sacks. It is was I used for my niece’s bridesmaid lunch (above link) and then turned them into snowflakes. Cut the bottom of the lunch bag off. 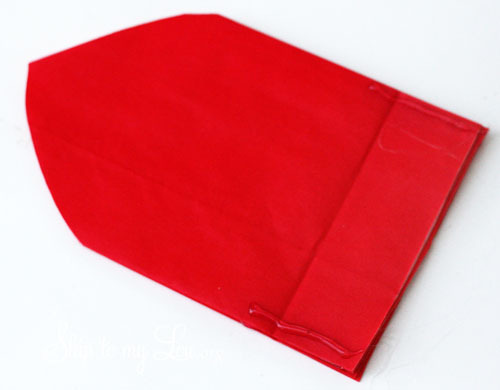 Trim the top of all six lunch bags in a petal shape. Place hot glue along the lower side bottom, about two to three inches from the bottom on each side. Place another lunch bag on top. Continue gluing until you have sandwiched all six bags. You have hooked the bags together. Make sure the glue doesn’t run over the edges. 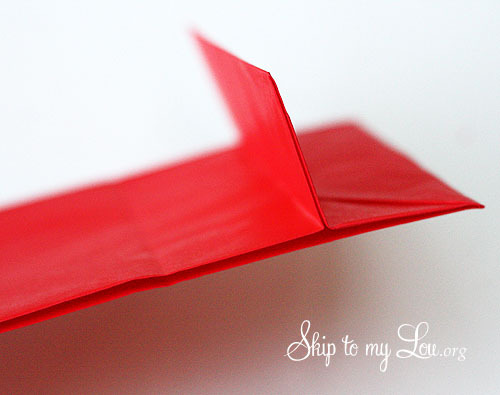 Fan the sacks out and fasten with glue. It is a bit tricky, but you will get the hang of it. I do one side then the other. Place hot glue in the center if needed to match up bags. Punch a hole in one petal and hang with fishing line. 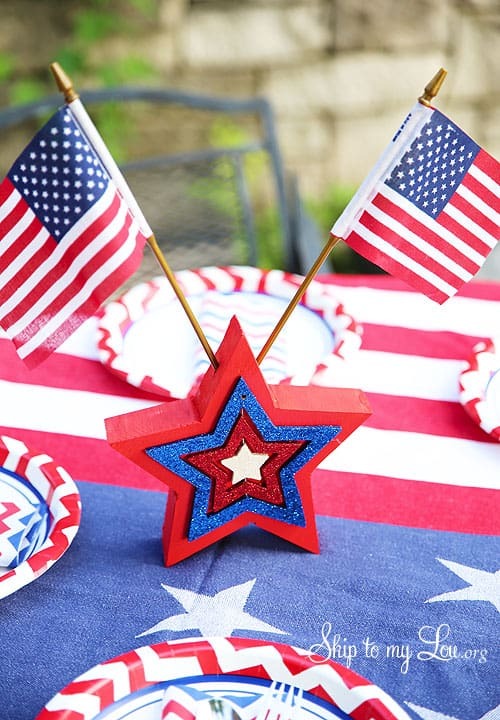 Here are more ways to make your Fourth of July party festive! 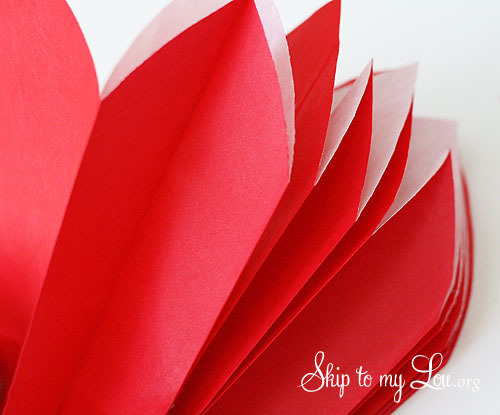 These easy party decorations can be made in any color for celebrations all year long. 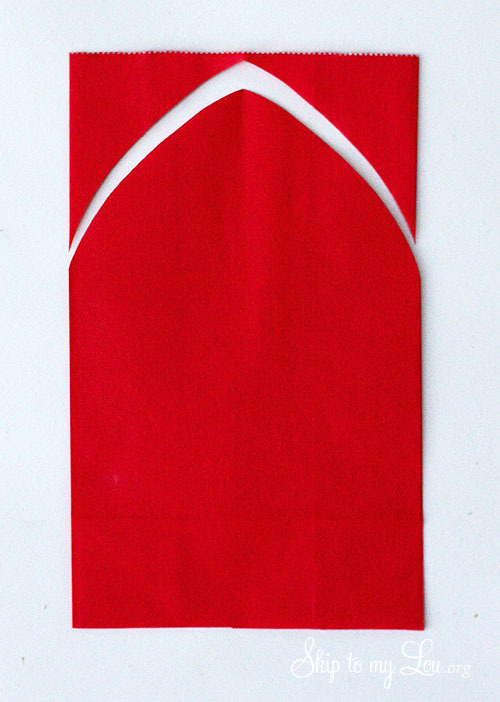 It is easy to applique letters to the pennants. 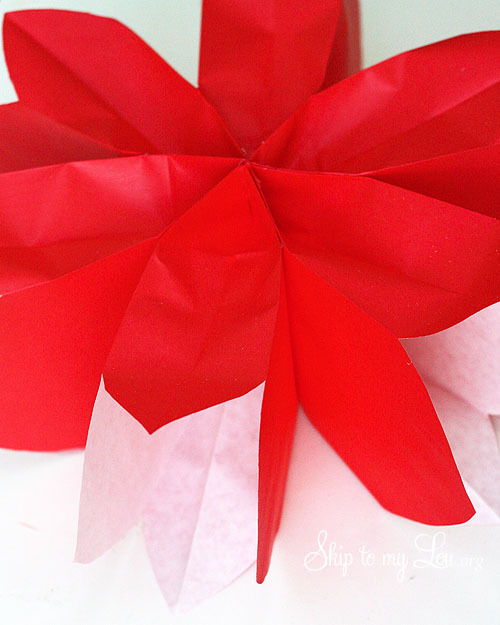 Make your own pinwheels to place in flowers. Flowers are in an upside down hat from the Dollar Store. how cuuutttteeee!!!! 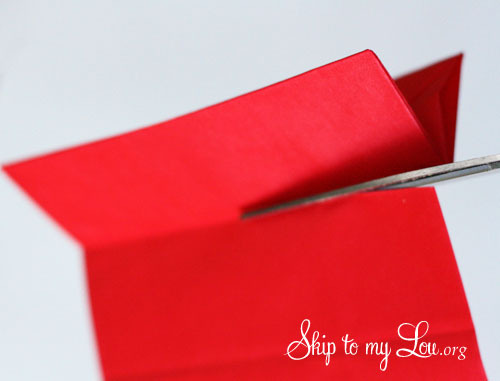 i love this simple idea! You have no idea how much money you just saved me!! Wow, this is really great. I found the bags in all different colors so now I am equipped for every occasion. Your site is a blessing! I adore these! What a cute decoration idea!